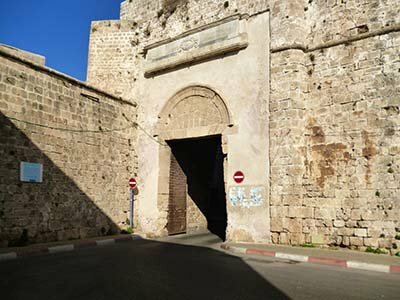 The Land Gate to the old walled city of Akká - Abdu’l Bahá came and went by this gate, also the Bahá’ίs came and went this way when they visited Bahá’u’lláh in the Barracks (the prison where He was placed). Bahá’u’lláh also left the city by this route when He was released from the prison and put under house arrest in various residences in Akká (pictures of these places to follow! ).